This system allow consumer to purchase with rewards point which in return a motivation of repurchase. It is a system that can track, collects data and boots consumer satisfaction through rewards program. Why do we need mobile membership engagement? Customer relationship management is one of the most valuable system that any business can implement. It can be very difficult for organisation to define individual visitor’s preference and behaviour in this competitive environment. A loyalty program helps on creating the connections between your brand and your customer. It enhance the value of the brand which helps on keeping existing customers buying frequently and most importantly boots sales. It allows organisation to reward customer differently according to their preference and value to the business; individual customer will receive tailor-made promotions that they are more likely to be interest at. Conducting consumer purchase data can help on identifying profitable customers but also assist the evaluation of specific promotions. Marketers can determine which demographic customer respond to targeted advertising and their behaviour. It encourage consumers to direct more of their purchases towards a brand and less at competitors. The loyalty system offers additional discounts, exclusive rewards for its members which the increase the chances of repurchase. The Club is a Hong Kong-based customer loyalty program offering a variety of experience. It is free to become a member of The Club and registered members can earn Clubpoints by purchasing from HKT or their partners. Users can redeem a selections products, service and privileges. Our membership system provide tracking towards participants browsing behaviour and collects data of specific preference. It in fact can be seen as a loyalty programme which helps on dividing customer into different sector to offer similar service or promotions. 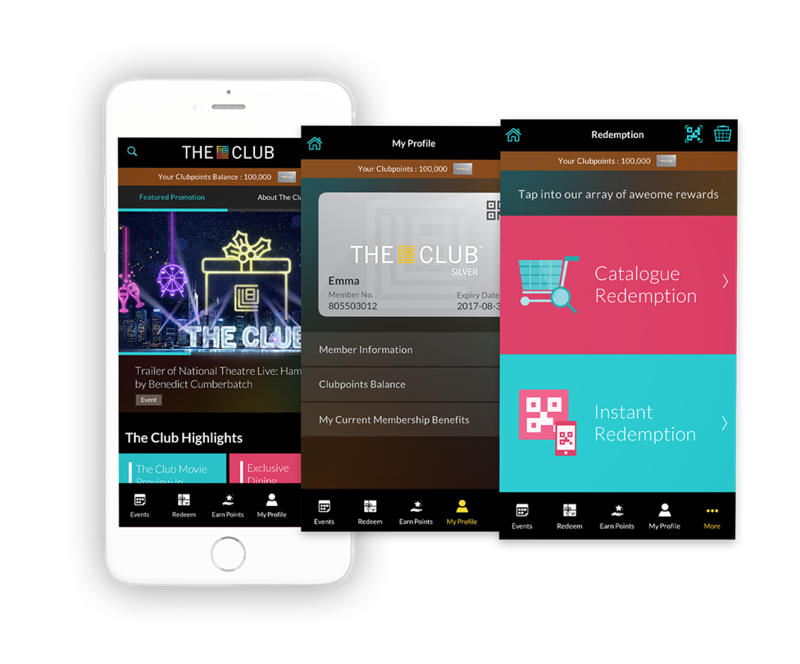 For instance, our recent project with PCCW involves a membership rewards system, consumer can collect club credits through the app and redeem product or gift from it. The system collects consumer’s purchase behaviour and able to suggest content such as service or product to the user. Customer service has been greatly enhanced with technology and online services.